Episode 9. 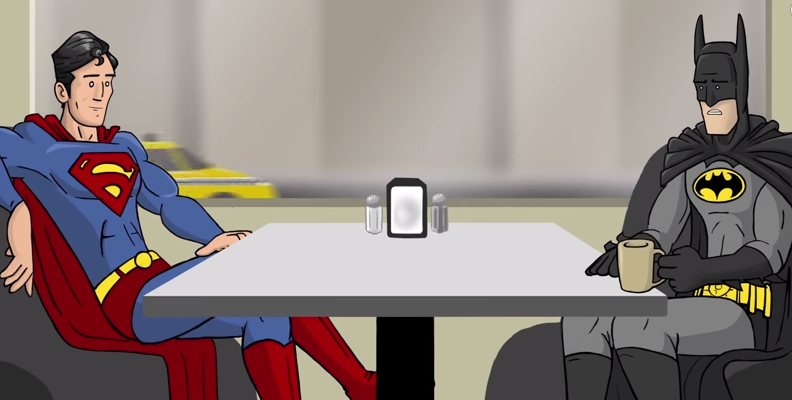 After Hollywood jabs at super hero repetition, Bruce and Clark discuss reboots. This amusing but dead-on response to Hollywood's sudden backlash against superhero films (comments from some actors that appeared on the Oscars, primarily) is brought to you by the geniuses at How It Should Have Ended. The negative comments about too many comic book movies is rather perplexing to understand considering it's helping to keep Hollywood profitable and relevant among younger audiences. Genre films continue to bring big box office like Young Adult book adaptations and science fiction. Why single out the comic book movie? After all, it employs dozens of actors, some of the most acclaimed and awarded that appeared on the Oscar broadcast. It's keeping the industry afloat with a ravenous fan base that will continue for at least the next five years. So crumpy-crumps in Hollywood get over it. Comic book movies will continue for as long as they stay profitable. Embrace the wave as most genres are cyclical anyway. I mean what kind of movies would Hollywood rather make? Costumed period pieces? These are costumed pieces in the here and now. Enjoy it, crybabies!